Unless you have taken the time to read the terms and disclosures of your credit card, you may be poised to receive some unfair credit card fees that will arise from unexpected sources. Do you know if your credit card charges unfair fees? Unfair credit card fees are strictly unfair to the consumer, and are quite beneficial to the credit card company in a financial sense. 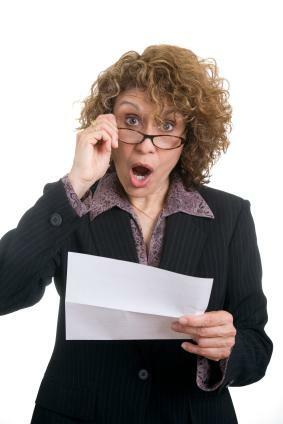 Credit card companies may lose loyal customers, however, when unexpected fees start popping up on monthly statements. It is important to keep an eye on your credit card statements to make sure that you aren't being charged ridiculous fees which you didn't expect. A credit card while traveling internationally seems like a great idea. After all, if your credit card is lost or stolen you can get help from the issuer, and you don't have to deal with currency exchange when you arrive in the country. Before you head to your next international destination you should be sure to call your credit card company and verify with them whether or not you will be charged additional fees for using your credit card overseas. Some Visa cards charge a foreign transaction fee based on a percentage of the purchase price. The fee is typically around 2.5%, which translates to $12.50 for a $500 purchase. That means you're paying Visa money for the mere usage of the credit card while in a foreign location, and this is above and beyond any interest you will pay. Some MasterCard issuers follow suit and charge fees based on a percentage of a purchase made on foreign soil. Fees can be up to approximately 3%, which can be quite a large amount if you make a major purchase overseas. American Express has a standard 2% fee which is applied to all foreign point-of-sale transactions. How can you avoid these fees? Look for credit cards which do not charge any foreign transaction fees. Discover Cards do not charge a foreign transaction fee, although these cards are not widely accepted. Certain credit card issuers, such as Capital One and USAA do not charge any foreign transaction fees. Look for credit cards designed for travelers - such as travel rewards cards - but be sure to verify that there is no foreign transaction fee prior to applying for a card. Many credit card companies charge a fee based on the percentage of the cash advance, usually around 3% of the amount. The interest you pay on your cash advance will probably be higher than the interest you pay on purchases. There is usually no grace period with a cash advance; in other words, you start accruing interest on the balance immediately instead of at the end of the statement cycle. Not every credit card issuer tacks on cash advance fees. For example, many credit unions do not charge cash advance fees, although the interest rate may still be higher than for purchases and the interest may begin to accrue immediately. Before you take out a cash advance be sure to check with the credit card company to verify that there are no exorbitant fees associated with the transaction. Some credit card companies charge customers a fee every time the customer calls and speaks to a representative. You can be charged a late fee on your credit card if your payment is even one day late. Just because your card is approved for a purchase does not mean you haven't gone over your limit; you can expect a hefty fee if this happens. Some issuers charge a fee to replace a lost or stolen credit card. A balance transfer may result in a fee with some credit cards. Be nice. Do not call and berate the customer service representative. Ask for a manager. If the customer service representative can't reverse the fee, ask to speak to a supervisor. Keep your account in good standing. You will have more luck getting a fee reversed if your account is current and under the limit. Don't make the same mistake repeatedly. You cannot expect to have the same fee reversed over and over again. If you know you will be charged a fee for a cash advance, stop using that card for cash advances. You may be surprised at how willing the credit card representatives are to help you as long as you are polite yet assertive. If you don't get satisfaction from the credit card company, it's time to shop around for a different card.